Computer Science is all about our interaction with information. That information can range from railway timetables to personal health care data or exciting new virtual games. Computer technology has given us a wealth of new opportunities, but unfortunately it has also created serious risks. The Bachelors in Computer Science at VU Amsterdam focuses on both aspects, with Networks and Security as two major topics in the program. 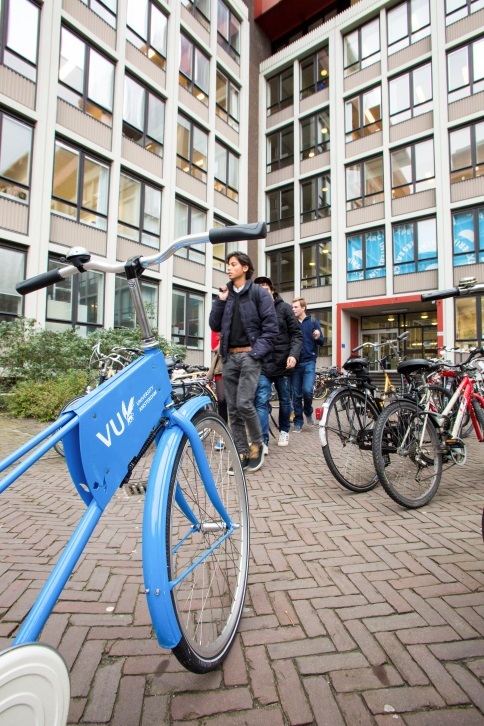 In addition, the VU offers students the only full-fledged academic specialization in software engineering in Amsterdam. You get your skills from researchers who are specialized in this field. During the bachelor you can opt for the engineering minor Deep Programming. After the bachelor you can go for the Master's track in Software Engineering and Green IT. This track is unique because of its focus on teaching you how to engineer energy-aware software and ICT systems, making our digital society more sustainable. The openness and transparency that are valued in the Netherlands are reflected in its educational system. At VU, you will receive pro-active and challenging education, and lecturers doors are always open for any questions you might have. VUs lecturers combine teaching with top-level research. They also maintain solid relations with various businesses in the field, and projects you will work on during your program are often organized in cooperation with such companies. This three-year Bachelors program will teach you to speak and understand the language of computers, from the logic that systems are built on to the various abstractions of the code used to program them. Moreover, you'll learn how computer networks share information efficiently and securely, and how users interact with systems. You'll be in the drivers seat with key skills and expertise, ready to start working in this fascinating field. Upon graduation youll receive a Bachelor of Science degree in Computer Science. Youll be able to use your knowledge to develop state-of-the-art computer programs, evaluate potential network security weaknesses, or design a secure network. Graduates have landed jobs as software engineers with Google, Nokia and the City of Amsterdam. Others have become Licensed Ethical Hackers at XS4ALL, consultants with Accenture or are now CEOs of their own companies (e.g. Voiceworks). Computer Science is invaluable for almost any modern industry or company, so you will have many options when it comes to finding the right job. Even more doors will open for you if you decide to specialize further by pursuing a Masters degree. VU Amsterdam offers six Computer Science Masters programs, each with an excellent reputation in a decidedly international environment.